Our classic Breton top gets a fun makeover with eye-catching prints that were made to set sail for adventures on the high seas. 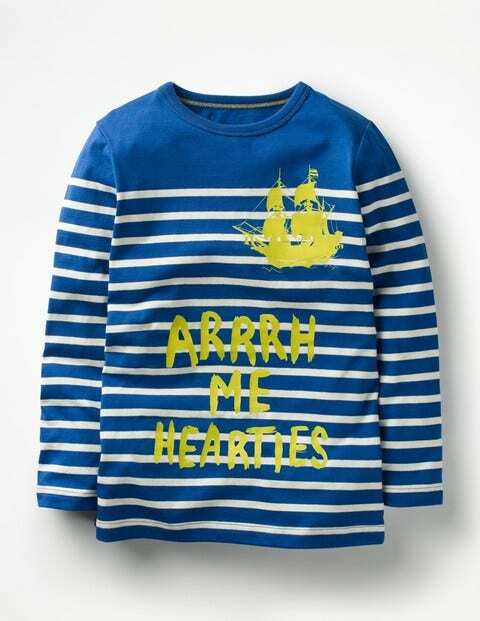 These pirate-themed T-shirts in 100% cotton are just the thing to wear while searching for hidden treasure. Finished with long sleeves, they’ll keep all hands on deck nice and toasty.